Born in Leicestershire in 1808, John Paget studied medicine at Edinburgh University before travelling extensively on the continent (Czigány). 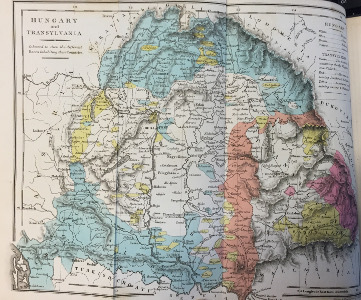 His travelogue, ‘Hungary and Transylvania: with remarks on their Condition, Social, Political and Economical’ published in 1839 was formed from his visits to the region during 1835-36 and was illustrated by George Hering, an artist who accompanied him on his journey. I know there are those who think, that “to write up a country,” a traveller should describe everything in its most favourable light; I am not of that opinion, -I do believe that a false impression can ever effect any lasting good. a well-polished floor, on which, I am sorry to say, I observed more than one of the guests very unceremoniously expectorate. region (sadly, nothing to do with Vampires). 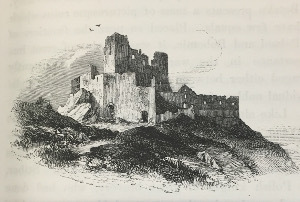 For example, he recounts a gruesome true story on visiting Castle Csejta; describing the horrendous murders committed by Elizabeth Báthori in 1610. Believing that bathing in a maiden’s blood would grant her eternal life, “no less than three hundred maidens were sacrificed at the shrine of vanity and superstition” with Elizabeth luring them through a secret passageway from the castle to the cottage of her two accomplices. 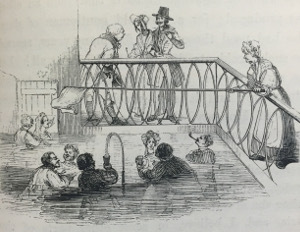 but conceive my horror, precise reader, when some very pretty ladies quietly informed me that they took their second bath in the evening and hoped I would join them! 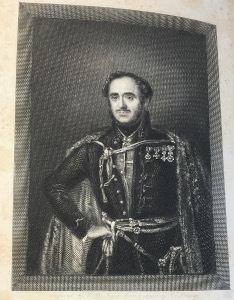 Paget later married a Hungarian Baroness, Polyxena Wesselényi, the estranged wife of a Hungarian magnate, Baron László Bánffy, and lived with his family in Transylvania at Gyéres. He was granted Hungarian citizenship in 1847. Paget became a keen agriculturist and focused his efforts on improving his wife’s estate by applying new agricultural methods and using modern machinery: “A regular visitor to, and adjudicator at, international agricultural fairs, in 1878 he was awarded the Légion d’honneur at the World Exhibition in Paris,” (Czigány).